History help us to understand the concept of currency trading, called FOREX (Foreign Exchange). For an in-depth analysis, see 'Begin Forex by G. N. Louw. A college professor was denied a bank-loan in 1967. The bank refused to grant the loan because the loan was for a project that would violate the Breton Woods Agreement. Professor Friedman wanted a loan of Pound-Sterling, which he would then sell for American Dollars. Friedman felt the Sterling was overvalued in relation to the Dollar. He intended to buy back the Sterling when its value relative to the Dollar was low enough to allow him a respectable profit after the loan was repaid. This practice (called shorting) was against the 1944 Bretton Woods agreement. This agreement was set up during WWII to help ensure the Great Depression did not return, providing stability to international monitory markets. The agreement did this by limiting the flight of capital from one currency to another and restricting currency speculation, like what Friedman was attempting. Before the Bretton Woods Agreement, the Gold Standard provided the backbone for international trade, as currency was linked directly in strength to the price of gold. The Gold Standard prevented governments from simply printing vast amounts of new currency, as a citizen should be able to demand gold for their cash, with the government obligated to provide. While on the Gold Standard, it was imperative upon governments to keep large stocks of gold on hand, to prevent devaluation of their currency. Additionally, currency values were able to be strengthened by a government purchasing more gold, reflecting increased confidence that the cash in circulation was able to be turned in with no shortages. For the stability that the Gold Standard offered, it was fundamentally flawed. As an economy grew in strength, it would import more and more goods from abroad. This required the shifting of gold to other nations to back the Dollars (Or other currency) that were leaving the nation. This resulted in a shrinking of the money supply, causing a spike in interest rates and a slowdown of lending and economic activity. This led to a dangerous vacillation between boom and bust that bordered on economic mania. For more information on the Gold Standard, please reference 'Economics of a Pure Gold Standard' by Mark Skousen. In 1971, President Nixon, faced with tight economic factors resulting from the expensive war in Vietnam, abandoned the Bretton Woods agreement. This ended the restrictions on currency trading and removed from the US Economy the ability to cash in Dollars directly for gold. Within a few years, every major industrialized nation's (Sans China) currency floated freely in relation to each other, allowing the creation of vast foreign exchange (FOREX) markets for currency trading . The next two decades saw explosive growth of FOREX, as world markets modernized and allowed for fast transfers of money and ownership. Currently, approximately one and a half trillion dollars a day are traded through FOREX markets, making it a significant financial factor in the world economy. 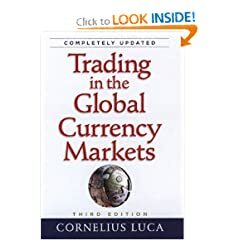 For reference on modern FOREX markets, reference 'Trading in the Global Currency Markets' by Cornelius Luca.